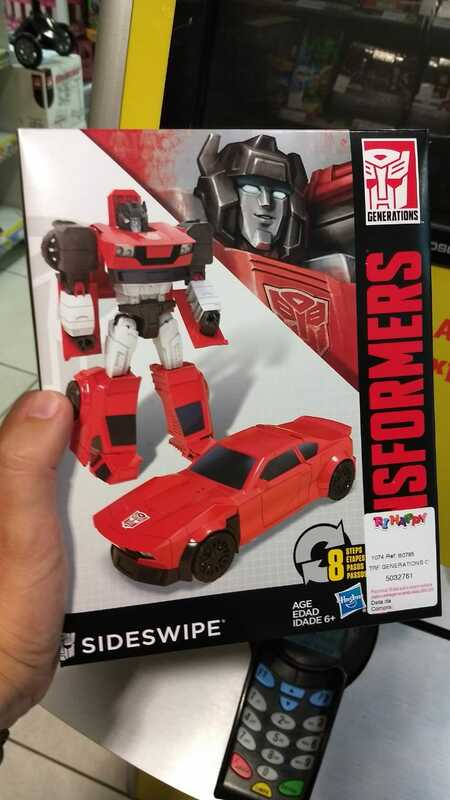 Thanks to a report of 2005 Boards member christ_bluebus, we can inform that Transformers Power Of The Primes Legends and Deluxe Wave 2 And Studio Series Leader Class Wave 1 Are Out In Brazil. 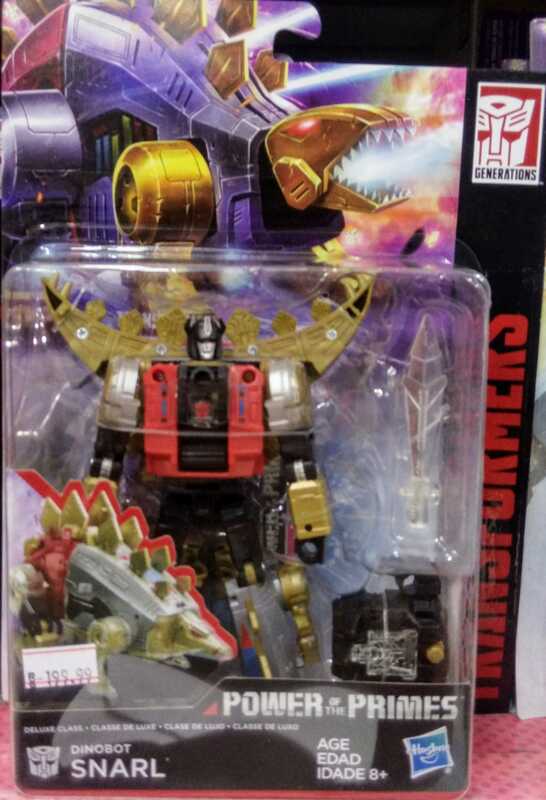 After months of waiting, Brazilian retail stores are receiving Power Of The Primes Legends Wave 2: Battleslash, Roadtrap and Autobot Tailgate) and Deluxe Wave 2: Blackwing, Dinobot Sludge, Dinobot Snarl, Autobot Moonracer and Terrorcon Rippersnapper. Legends are sold for 69,90 Brazilian Real ($17.50) and Deluxes are 129,90 Brazilian Reales ($32.50). Curiously, any toys of Power Of The Primes Wave 1 have been spotted yet, and it seems they won’t arrive anytime soon. 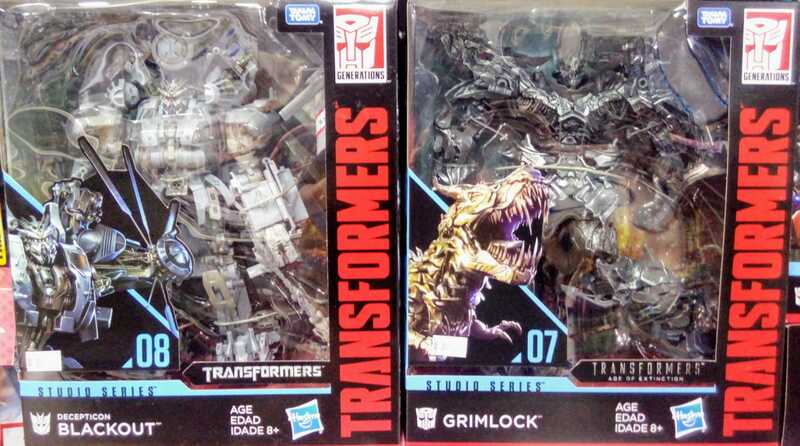 Popular Studio Series Leader Class Blackout and Grimlock are available too for not-so-economic 399.90 Brazilian Reales which is $99.99 approximately. To top it all, Cyber Batallion Sideswipe and Shockwave were also spotted for $89.90 Brazilian Reales ($ 22.50). Happy hunting to all Brazilian fans! for the first time in the country, wave 1 coming after wave 2. Leaders and Voyagers appearing here in online stores. 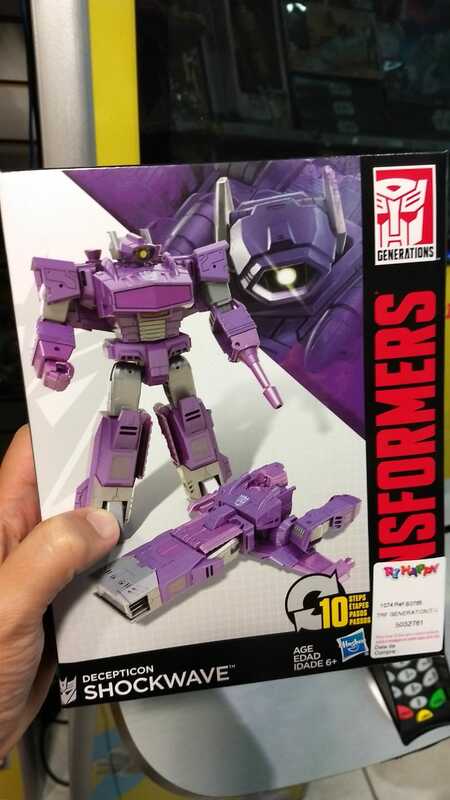 Collectors of Brazil..please, come take our over abundance of POTP wave 1. The problems we have here are many. The distribution of Hasbro is terrible. Since CW, no collection has come complete here. There's always something missing. For example, I quote the menasor and Superion combiners. Except for the G2 versions, those who completed their here bought from outside, because they were sold here some of the members only. On the other hand, the Dollar growing in appreciation against the Real and the difficulties with our post office discouraged a little the fandom to keep importing. Anyway, collecting is that. Never give up! HI @christ_bluebus in what stores and what are the prices of these items? I remember you even had a special event to present Studio Seies iifures. Yes, in last April, happened ABRIN which is a fair of the toy industry in the country. In it Hasbro presented the SS line. 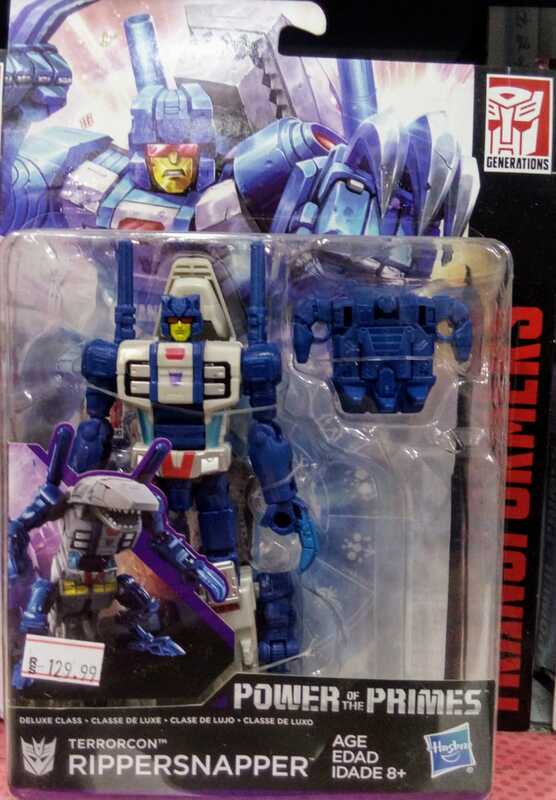 These items appeared initially in TOY STOKIN, a partner of our group Nova Cybertron and is in the city of São Paulo. Days later, they appeared in the other retail stores and even in the online stores, showing that they arrived in definitive for the year of 2018. Hasbro has promoted a price change on Brazilian soil since last year. The movie and SS line items are more expensive than the other RID15 and generation items. Finally, after months without much news in Brazilian trade, in the last few weeks have arrived great items for Brazilian collectors. 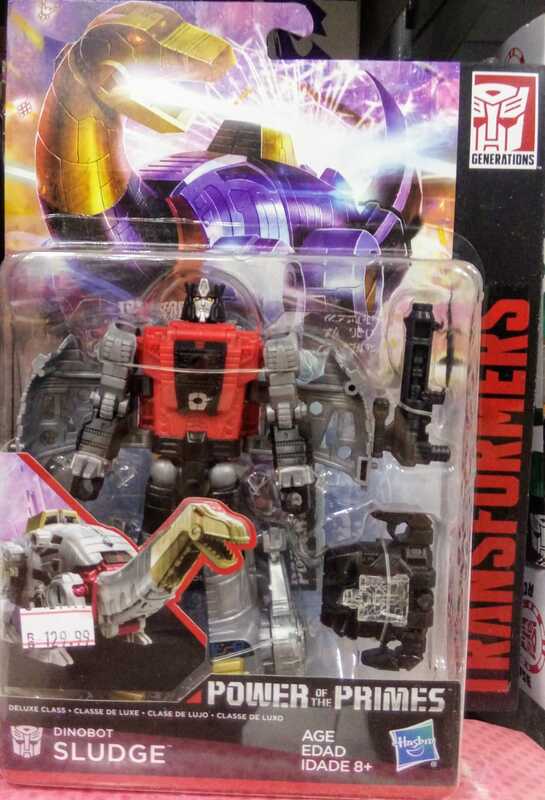 Deluxe Class Dinobots Sludge and Snarl, Terrorcon Ripplersnnaper, Blackwing and Moonracer. 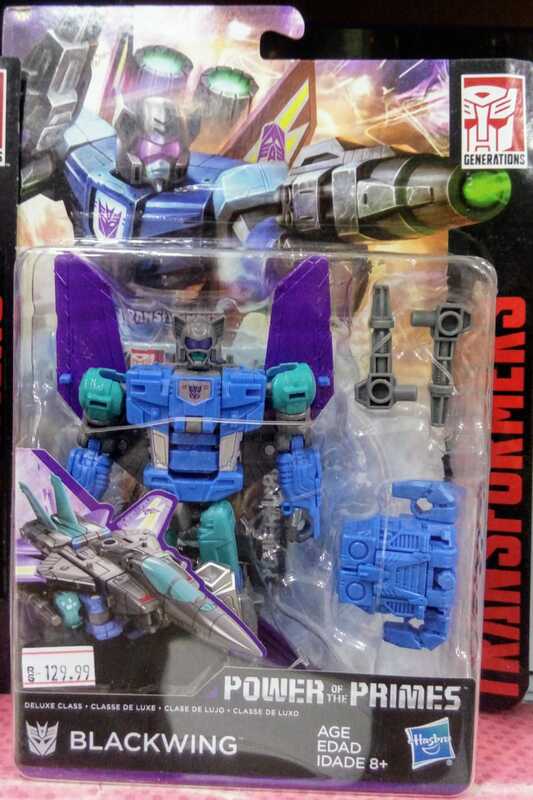 The other items of the SS line before this Leader were already available but the wave 1 of POTP did not come to Brazilian lands and probably will not come! We Brazilian collectors were anxious for these items and happily arrived (even if late and incomplete).